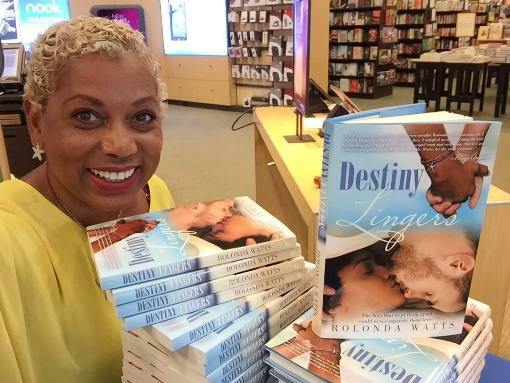 *Rolonda Watts is an actress, producer, voice over artist, novelist, motivational speaker, and television and radio talk show host, and now she can add author to her multi-hyphenated list of titles. Watts released her first novel earlier this year titled “Destiny Lingers,” and it’s available on all digital retail platforms for books. 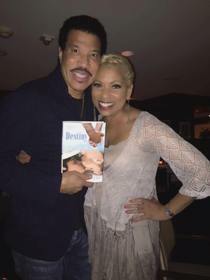 AlwaysAList.com caught up with Rolonda to discuss the book and the famous men she’s been romantically linked to. Read excerpts from the interview below. Tell me about your debut novel, “Destiny Lingers” and what inspired you to write this book? Rolonda: In 1948, my grandparents were among 10 black families who helped establish Ocean City, Topsail Island; the first Black beachfront resort community in North Carolina. It was the first time Blacks were allowed on North Carolina beaches. I spent my summers there and eventually owned my own oceanfront home. On July 12, 1996, I survived Hurricane Bertha after she slammed our tiny island. For three days, I ate at the Red Cross and met fellow stranded islanders who shared my same memories. I wondered why we didn’t know each other with all we had in common. The harsh reality was because of segregation. I wondered what would happen if two kids who were in love, but forbidden to be together during the Jim Crow era because of race and class, decades later, found each other again—and this time were free to love openly! What if the laws that kept them apart could never separate their love? What if time moved on, but destiny lingered? Have you and would you take a second chance at a first or second or third love? Rolonda: I don’t think we ever forget our first or true loves, but so rarely do we ever have a second chance. My novel makes lots of folks think twice about what they would actually do if faced with a second chance at their first love. Speaking of past loves, you’ve been linked to some high-profile men over the years. Let’s talk about that. Did you really date my childhood idol Al B. Sure? Rolonda: Yes, Al B. and I really dated and we still care deeply for each other—though we are not in love. My fondest memory was when Al B. asked a group of friends over dinner what each of our dream gifts would be. I said a sapphire blue and gold Rolex watch with diamonds marking the hours. Al B. later presented that very gift to me in a sound proof room in his studio next to a white baby grand piano. I almost fainted! I will never forget that moment as long as I live. He is a very special man to me. 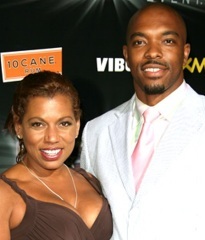 Let’s talk former NFL player Ataveus Cash. You two were a public couple despite a 20-year age difference. How was cougar love and would you do that again? Rolonda: One of the biggest mistakes of my life! I can’t let you off the hook without asking you about the late, great “Godfather of Soul” James Brown. He came on “The Rolonda Show” and made his love for you known. But were you all actually ever a couple? Rolonda: I adored James Brown and he adored me! We hung out a lot talking business, as he owned all of his music and was a tremendous entertainment producer and mentor to me. But we were never lovers. James asked me live on my talk show to marry him, but he did it more as a publicity stunt because he knew it was time for me to leave the talk biz and make my own mark in Hollywood. I also rode with him on the back of his motorcycle when he, Dan Akroyd and Jim Belushi opened a big restaurant down south. It was either House of Blues or Hard Rock Cafe, I can’t remember. Read the full interview at AlwaysAList.